The online mission is excellent in terms of the crafting of the content. Everything flows logically, information is provided systematically and the games are engaging and tap on the interests of the target age group. You can go back and play any of the games at the end of the mission without having to go through the entire process. 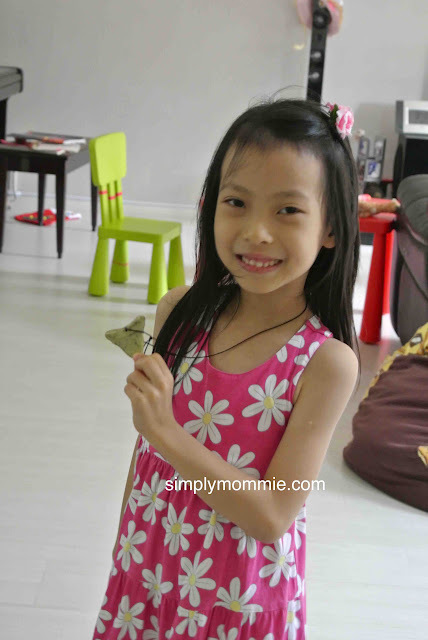 The kids are exposed to the biomes of the world and explore these one at a time. In each biome, they learn not only about the animals, the habitats that categorise the biome, they also learn more about the world – the continents, the oceans, geographical knowledge. Subscription covers everything that you need so there’s actually no need to look for extra information if you don’t want to. 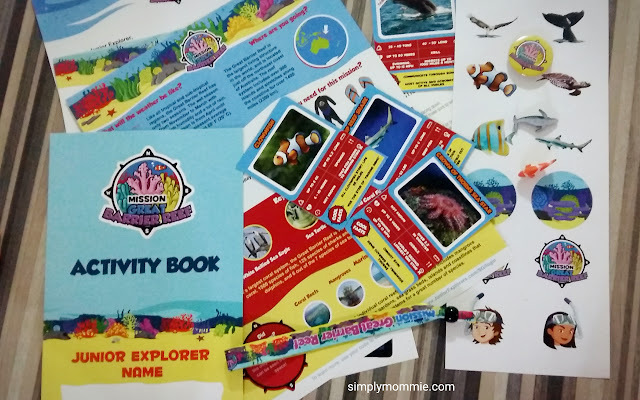 Extras to keep the kid engaged include tattoos, stickers, the collectible wristband and badge are also helpful to keep the hype up so interest is sustained through the month (till the next package arrives). It’d be good if the online missions could take a shorter time to load. Some of the games had a time limit which I find rather short for younger kids in the target age group. I had to help my girl with the controls as she isn’t so tech-savvy to operate the laptop that fast. The volume of the characters speaking during the online mission swings to extremes. Some characters are really loud, while some are soft. I had to constantly adjust the volume. So how have we liked the subscription box so far? I still stand by what I said I like about the subscription box. In fact, I think I’m quite impressed with the fact that they constantly try to make changes to their content and the kit. I’ll just give a brief overview of what we’ve received thus far to give you an idea of what to expect if you subscribe. In the first two months, you’d receive a welcome kit and your first mission. Technically you’d receive them separately but for purposes of the initial review, I received both in the same month. My girl with the welcome kit. 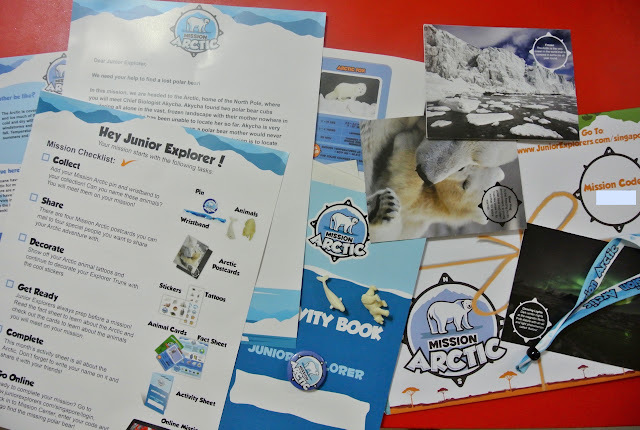 For details about what’s included in the welcome kit, please click to read my initial post about Junior Explorers. Our first mission kit. Again, exact details and how we dealt with the entire kit can be found in our initial post. Subsequently, we received a mission kit each month, though the arrival period of the kit sometimes varied. But that’s not a big issue for us. With my girl in Primary school, we don’t always get to work on the kit immediately when it arrives anyway. I must make a mention that the format changed slightly with the Everglades package. 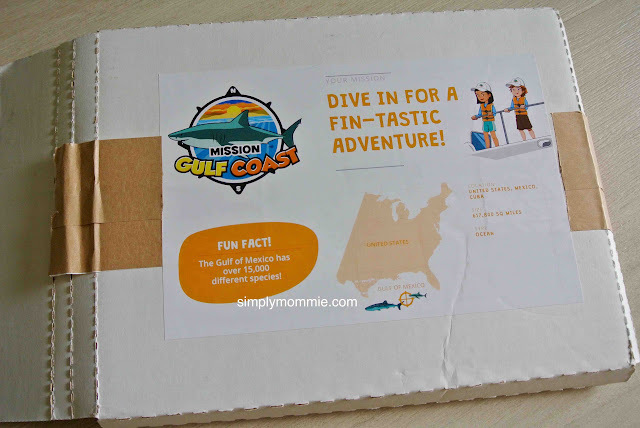 Unlike the previous kits that we’d received, when we opened up the padded envelope, we found an A4 sized booklet, with the information sheet, mission details, postcards, animal cards and activity sheet inside instead of the loose sheets that they used to come in. The tattoos, collectible badges and wristbands and the two collectible small animals were found in the padded envelope. I was initially happy with the new layout because it looked so neat but I quickly realised that the drawback was that I couldn’t fit the padded envelope with the small loose items into the ‘luggage bag’ (i.e. the cardboard box provided in the welcome kit). Previously there was a separate white envelope (with the mission title printed on it) containing all the items for the mission within the padded envelope and that fit perfectly in the box. With the new format, I had to store the loose items from that mission kit separately in a ziploc bag. That certainly didn’t feel as neat anymore, though I really liked the look of the new almost-all-in-one booklet. The next month, we received something different again! This time, the A4 booklet was still there with the animal cards etc. but this time round, there were new never-seen-before items included! What was new include – a huge shark chart, finger tattoos instead of the usual tattoos, shark stencils, a ‘shark tooth’ necklace and some stickers which were much smaller than the usual ones. Just when we thought it was getting predictable, we were really ecstatic to see that some changes to the mission kit really spiced things up and upped the interest in the subscription box again! 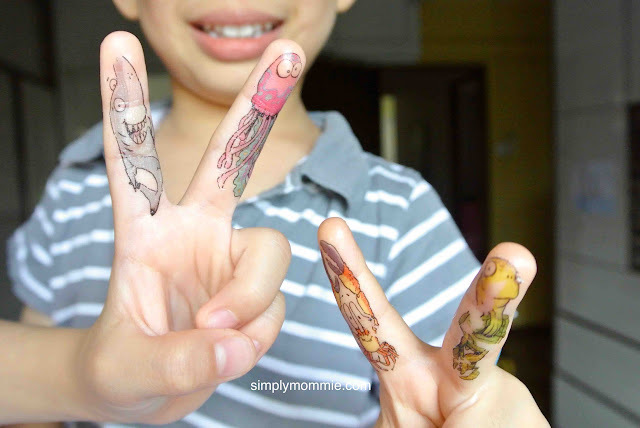 Some of the finger tattoos! 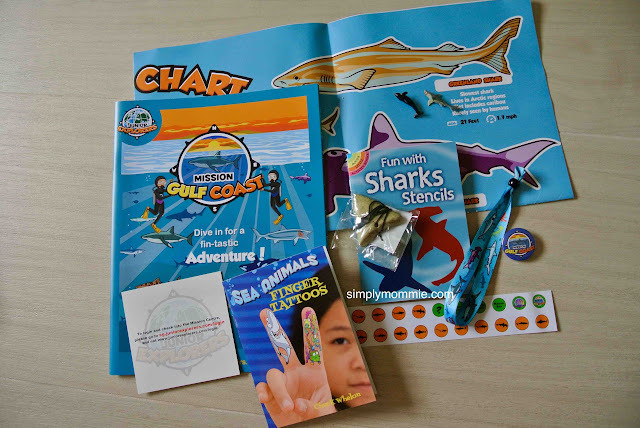 Not only were the physical items different, the online mission was also different for this mission kit as the kids got to track sharks they learnt about in real time. It was only after the kids had stuck most of the small shark stickers on the box that I realised that the stickers were meant to be markers for where the sharks could be found. Oh well. A month later when I checked back on the website, the Junior Explorer team had included better instructions instead of just saying that we were being redirected to another site to track the sharks. The kids were kinda disappointed though that there weren’t online games that month. Haha. Our latest package came in the usual padded envelope this time with some changes again. Did I say how absolutely impressed I am with the things they are doing to jazz things up? In place of the A4 booklet was a set of coloured printed papers stapled together with details about the mission as well as the information sheet and some fun activities. This time there were only three tattoos, individually cut up instead of a sheet of tattoos which we usually receive. 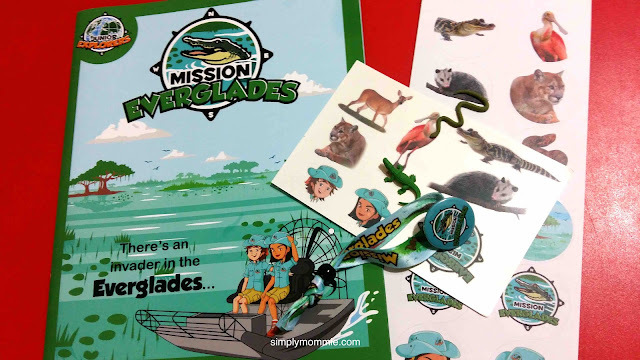 The super awesome thing about this mission kit is that it comes with a dinosaur activity book and a sticker activity book! The dinosaurs were much larger than the usual small figurines in the previous mission kits and there were three build-a-dinosaur pieces included too. One of the three dinosaurs we built. Pretty much? Doesn’t come with instructions though so we had to figure it out ourselves. Surprisingly there were no animal cards, postcards, wristband and badge. No biggie though. The activity books kinda already made up for that. We still can’t access the online mission though which is quite a bummer since last month they didn’t get any online games either. Overall, I’d still recommend this subscription box. Regarding the things I thought could be improved in my previous post, I still have some issues taking a long time to load missions sometimes but this is quite sporadic. I’m not a tech geek so I’ve no idea why sometimes it loads very quickly and why sometimes it seems to take forever. There’s still volume discrepancy within the online mission but it’s certainly not as bad as when I first reviewed it. I like that they have tried in these few months to change things around a bit as it did get a bit repetitive after awhile. A surprise is good every once in a while! I would really like the pretty white envelope to be back though so I can organise the items neatly again! If you’re interested in this subscription box, you can get 10% off your subscription when you key in the promotional code SM10 when checking out your cart. Disclosure: I received a Junior Explorers subscription for purposes of review. 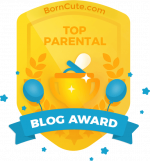 This entry was posted in Homeschooling, Reviews, Subscription box, Teaching Science, Toys and educational products. Bookmark the permalink. I like the sticker activity book! I like that the materials looks durable and it covers a range of topics. It will be fun for the kids to learn through play. I like that there are missions online for the child to extend his learning and exploration! It is a set of very good and comprehensive learning materials for full time working parents who have limited time to prepare supplementary learning materials for our children. 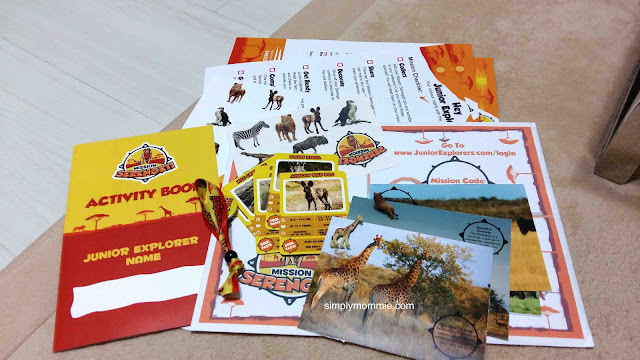 I planning to go zoo during June so I thought of doing some activites during the trips with the children so this comes in handy for me. 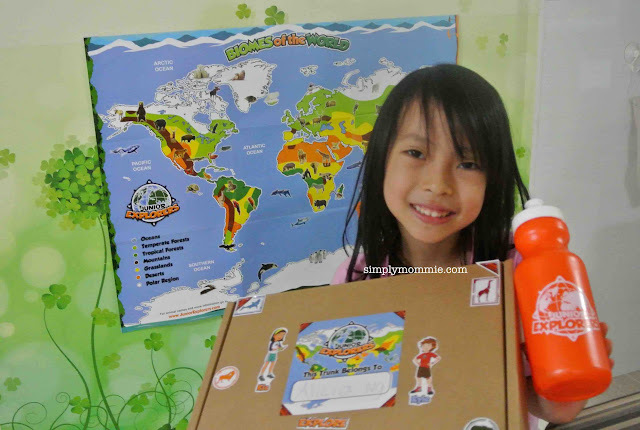 I like the fact that the kids can learn about different countries in the world and how interactive it is. Hope to win for my girl! I like the idea of finding out the mission online! It also give children the opportunity to finding info online, which I am currently exposing my eldest to and we can do it together with me guiding me on the safety about internet too! I like that the kids can learn interesting facts through activities. The mission is engaging and children will love it. I like how detailed the subscription box is! Saves me the hassle of doing research and preparing materials, which can be really time-consuming. I would love to have it for my girls since the subscription box would give them a fun and enjoyable educational experience about varied topics. The fact that they have online missions and craft related ones together, makes this a perfect one ! I love that it’s fun and educational! 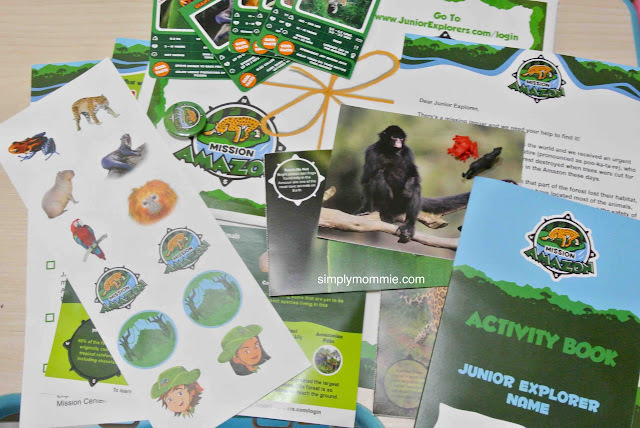 The subscription box is an amazing way to inspire children to get connected with nature and wildlife. I’m sure my kids would have a blast with it!